We’ve all been told that when it comes to beauty, it’s only skin deep. So it’s no wonder skincare is the utmost importance. SK-II is the Japanese beauty brand and cult-favorite among skincare fanatics and Hollywood’s elite known to promote radiant skin and give that glow from within. The brand’s mission is simple: To make women feel confident and powerful in their own skin without a drop of makeup. So it’s no wonder A-listers like Chloë Grace Moretz, Behati Prinsloo Levine and so many more stars are fans of the brand. Shop With Us: This Celeb-Favorite Skincare Brand Has the Best Introductory Collection! Feeling confident in our skin is always easier said than done. But the SK-II Pitera Essence Set is the ultimate 3-step system that hopes to guides us to in feeling like our most confident selves. Think of it as confidence in a bottle, which explains why this is such a fan favorite. The only thing better than one bestselling product? Three bestselling products, of course! So with this collection set, skin lovers will have access to not one but three amazing SK-II essentials — all for under $100! The SK-II Pitera Essence Set is the brand’s collection that will introduce all first-time users to the essential products when looking to achieve crystal clear skin. SK-II formulates products with vitamin-rich Pitera, which can help dramatically improve the skin’s natural surface rejuvenation process to give that glow we all strive for. This unique ingredient is the highlight of this skin-saving collection, which has three must-have products for cleansing, exfoliating and hydrating skin back to its original glory. Between the face treatment, the face lotion and the face mask, this trifecta of a set can help Us have an overall brighter-looking complexion, but noticeably clearer and smoother skin! 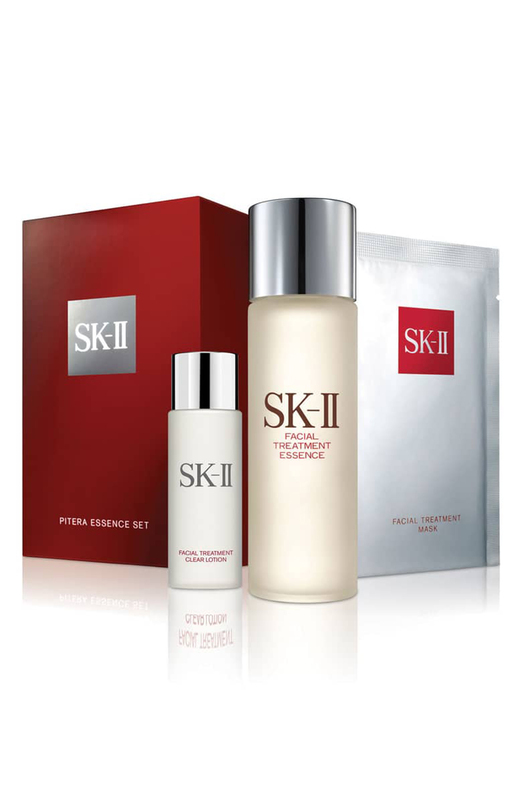 See it: Grab the SK-II Pitera Essence Set for $99, available at Dermstore! Also available for $99 at Amazon! Please note, prices are accurate at the date of publication, March 13, 2019, but are subject to change. Also for $99 at Macy’s and $99 at Nordstrom! Here’s a breakdown of what’s included in this ultimate starter collection. The SK-II Facial Treatment Essence is the product so many reviewers continuously reference as the holy grail of their skincare routines. This signature product was designed with the hope that it’ll leave any and all skin types with their softest, smoothest and most radiant skin. Derived from a 90% Pitera formula, this facial treatment blends together ingredients such as vitamins, amino acids, minerals and organic acids that look to promote our skin’s natural renewal process. The formula also looks to gently exfoliate skin while also balancing its oil production and leaving our face with that everyday, essential hydration. Across the board, beauty junkies seem to be beyond pleased with this product, with so many users encouraging first-timers to believe the hype over this holy grail product. 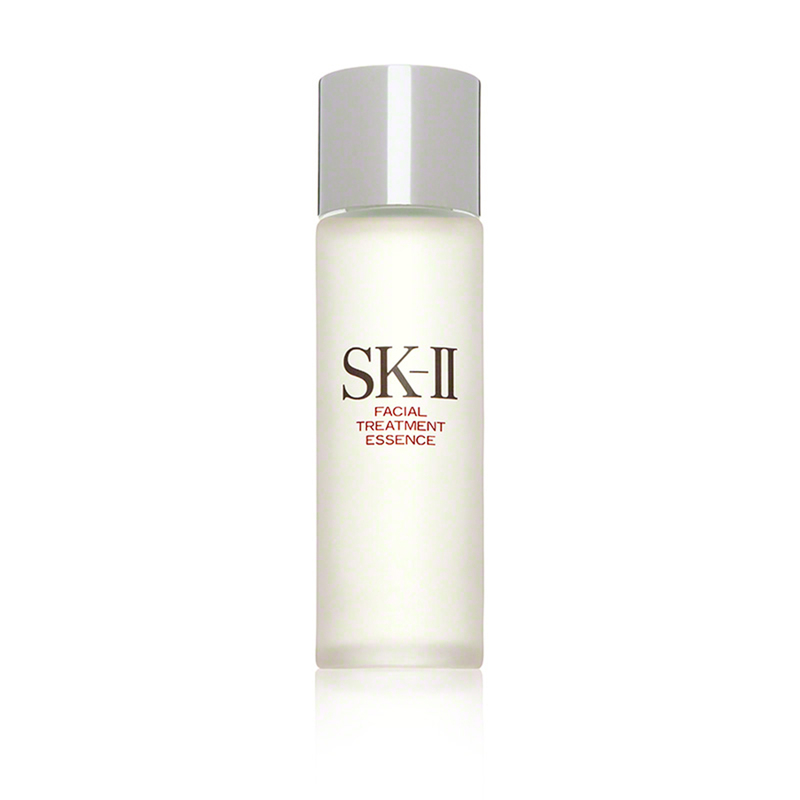 See it: Grab the SK-II Facial Treatment Essence for a one time purchase of $99, available at Dermstore! Also available at Nordstrom, with prices starting at $99! Also at Macy’s for $179! Also available at Amazon! This Facial Treatment Clear Lotion is the ultimate two-in-one process that looks to not only tone our skin’s surface but exfoliate it at the same time. In fact, this toner has left some reviewers calling it their must-have product in their skin care arsenal! Formulated with a mix of AHA and Pitera, the specifically designed blend will deeply penetrate our skin’s surface and can exfoliate dead skin cells and impurities. Amazing, right! Well, the hundreds of reviewers who claim success with this product think so. Across the board, so many reviewers claim this product worked wonders on their skin without leaving it dry. So many shoppers said this perfect product was nothing but a success! 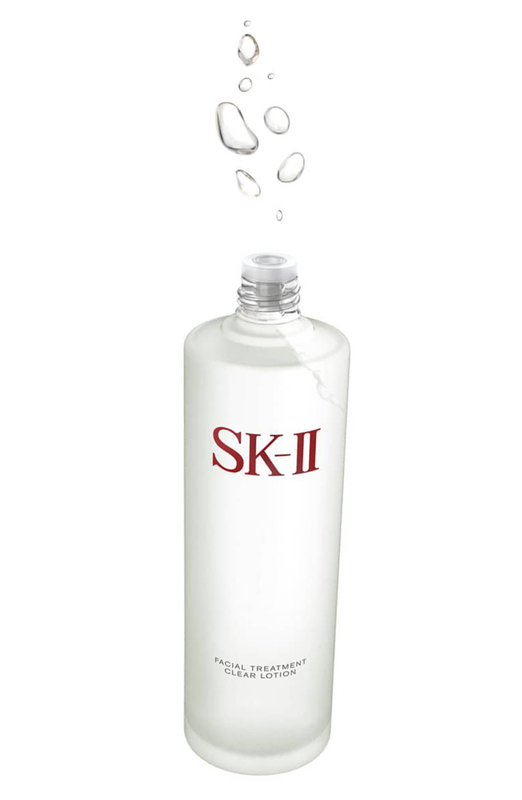 See it: Grab the SK-II Facial Treatment Clear Lotion for $76, available at Macy’s! Also available for $76, at Nordstrom! Also available for $120, at Amazon! Please note, prices are accurate at the date of publication, March 13, 2019, but are subject to change. The Facial Treatment Mask is the instant boost of confidence that has left over 600 reviewers claiming it dazzled their skin in minutes! Designed with Pitera concentration, this luxurious cotton facial mask will almost immediately leave skin feeling not only hydrated but looking radiant with a crystal clear complexion! Just simply place this mask, beginning around the eye area and carefully spread it to the rest of the facial area. Once applied, go ahead and pat the entire mask on firmly. For the best result, leave this mask on for up to 15 minutes and use it one or two times a week to see why so many reviewers call this mask dazzling! 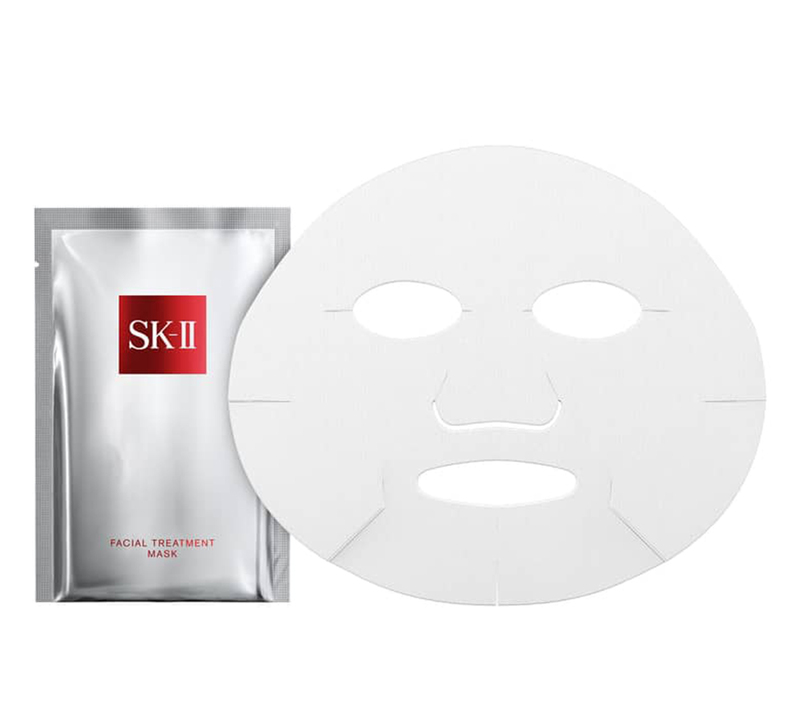 See it: Grab the SK-II Facial Treatment Mask with prices starting at $95 at Nordstrom! Also for $116 at Amazon! Please note, prices are accurate at the date of publication, March 13, 2019, but are subject to change. Also available for $135, at Macy’s! Not your style? Check out additional SK-II products, also available at Macy’s!